Dispensary Loss Prevention is a Must as Cannabis Industry Booms. Over the course of my career, I have always tried to keep up with emerging trends and businesses within the Loss Prevention (LP) field. Studying new ways to identify evolving fraud schemes or techniques and recognize theft across various industries has proven to be a successful habit as my career has evolved. This curiosity has lead me to begin researching the Cannabis industry and the “Green Gold Rush” that is starting to take place in North America. With full legalization across Canada and 33 of the 50 U.S. States recognizing either medicinal or recreational cannabis use, the foundation is being set for an expansive, multi-billion dollar retail industry at a time when the more traditional retail landscape has been downsizing in recent years. Today, the cannabis industry is purely cash-based because cannabis is still considered to be a “Schedule 1” drug at the federal level. Because of this classification, any bank that handles money from cannabis sales could be charged with money laundering. Though the federal government is starting to take steps to bridge the gap between state and federal laws and solve some of the financial and tax issues plaguing the industry. Being such a cash rich industry creates a whole other set of problems that I want to examine closer today. Anyone with a loss prevention background knows that when you have large amounts of cash transactions, the opportunity for fraud/theft from internal and external forces grows exponentially. Let’s review not only some physical security measures but also some LP guidelines and procedures that should be implemented to protect every aspect of your cannabis business. Video surveillance is a legal requirement for most jurisdictions in the cannabis industry. Look for the highest quality video with sound (if possible) that you can afford, this will not only make sure you adhere to compliance regulations but also help with deterrence of thieves, both internal and external. Also, part of this basic security package should be an intrusion alarm system. No dispensary will be occupied 24/7 so having your location protected on off-hours is of the utmost importance. Look for systems that allow for remote monitoring and can give your alarm and video systems the ability to work together. Being able to review access logs and video is essential to a successful security program especially when reacting to a potential incident. Access control systems are as important, if not more important than the video and alarm systems discussed above. Just like video and alarm systems, many jurisdictions require that these measures be put in place. Setting up your system correctly will not only allow you to monitor any customers visiting your dispensary but will allow you to restrict access to certain areas (like Safes & Vaults) to your most trusted employees. Even then, you will have the ability to review any employee activity if a potential internal issue arises. Some dispensaries are even supplementing their physical access systems by hiring a security company to protect the entrance to their showroom floor. This is a wise investment and creates an even greater sense of security especially in areas where crime rates are higher. The design setup of your dispensary can also contribute to preventing loss. By placing all your inventory behind strategically placed display cases, you allow for your employees to keep an eye on customers while they are browsing without the fear of the customer pocketing product when they are helping another customer. The strategic placement of display cases also allows for the staff to manage the flow of customer traffic in an efficient way, providing the customer with an even better experience. For the cannabis industry, the idea of a loss prevention team is very much new but with such a cash heavy industry, companies are already starting to invest in creating jobs in this space. Loss prevention teams can not only help identify where fraud and theft are occurring in your company but with access to the vast amounts of data being created by the cannabis industry, they can also help drive process improvement and operational efficiencies across your business. For a cannabis business, inventory checks are extremely important to not only preventing loss but also make sure that the dispensary is compliant to all jurisdictional regulations. Your staff should be counting cash at least twice a day, more often if possible. Regular money counts will help pinpoint who was working at the time of the loss. Daily physical inventory counts are also a best practice to ensure any losses are quickly identified and can be reported to the correct regulatory agency in a timely fashion. On average, retail company shrink percentages land between 1.5 to 2% and with cannabis turning into a multi-billion-dollar industry, huge losses will start to add up quickly. The cannabis industry is in its relative infancy so though the industry is heavily regulated, very few standards have been established for effectively running a dispensary. Shrink from internal theft and administrative errors cause over 50% of losses each year so setting up solid controls and procedures is paramount to your company’s success. You should design an effective program with accurate record-keeping to limit exposures and increase efficiencies across the business. Detailed activities and proper, consistent evaluation practices should be an ongoing aspect of any quality program. For me, the most important part of any successful loss prevention program is the culture that is built around it. The management of a company is different based on the type of company but the LP team and its culture should always be built on how they can best meet the needs of the business. A good LP culture isn’t just implemented, it is built over time with buy in from all levels of the company. Working with Operations teams to implement policies and procedures to help mitigate potential fraud issues while still driving a great customer experience is an example of building a positive corporate culture. Every employee should feel empowered and take accountability to ensure losses aren’t happening at THEIR company. When you start seeing this type of engagement from all employees, you are building a great LP culture. As the cannabis industry grows and grows, it is starting to produce mountains of data that up to this point has gone virtually untapped. Over the past 10 years, there has been a shift in ideology within the LP world. The days of pouring over spreadsheets and looking at transactions line by line are going by the wayside to make room for data analytics software that can quickly analyze the vast amount of data created by your business and help you identify fraud, theft, and inefficiencies. Good LP professionals utilize an analytics tool to not only find the suspicious transactions to mitigate potential losses quickly but also use the data to help drive new policies and procedures that increase the bottom line of the business. In these times of “Do More with Less”, a powerful analytics tool combined with a knowledgeable LP team with drive value to all aspects of the business. Solutions like 20/20 Data Analytics offer multi-store reporting that be used for track & trace compliance, sales compliance, suspicious transaction identification & review, all while giving you sales analytics to optimize your promotions and boost your bottom line. It’s critical that dispensaries no longer rely on antiquated spreadsheets or only their POS system to run an operation that may span multiple locations or even multiple states/provinces. Data analytics is a powerful tool that is essential to revolutionizing your business. As traditional retailers are struggling to maintain relevancy in evolving consumer cultures and trends, the cannabis dispensary industry is booming. However, as dispensaries become more and more socially accepted and the cannabis industry blossoms, there are unique challenges that will need to be addressed. 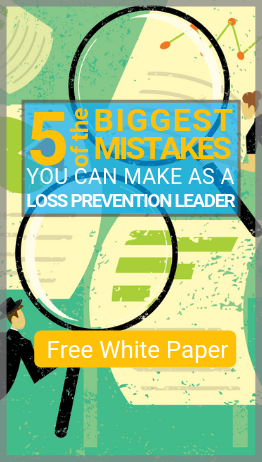 Preventing loss is just one of those challenges, but it’s one that can be addressed early in a dispensary’s growth to ensure that the right team, culture, and tools are in place to minimize loss from the start. Learn more about how to embrace data analytics to reduce enterprise-wide loss by downloading our whitepaper, "Vertical-Focused vs. Generic Business Intelligence." 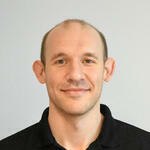 Eric Miller is the Sales Engineer at Agilence. He is also a Certified Fraud Examiner and Certified Forensic Interviewer with over 12 years experience as an analyst in the Loss Prevention industry. When he is not using analytics to find theft or fraud, he enjoys traveling, sipping bourbon and making ice cream for friends and family.